Features Travertine Slab Tiles inlaid into a custom stainless steel frame. A 2″ rock trough that surrounds a 19″ stainless steel fire wheel with Fire Crystals.com. All this sits on a custom fabricated steel frame wrapped with stucco finishes. *Options in Fire Crystals Glass and Rock available. 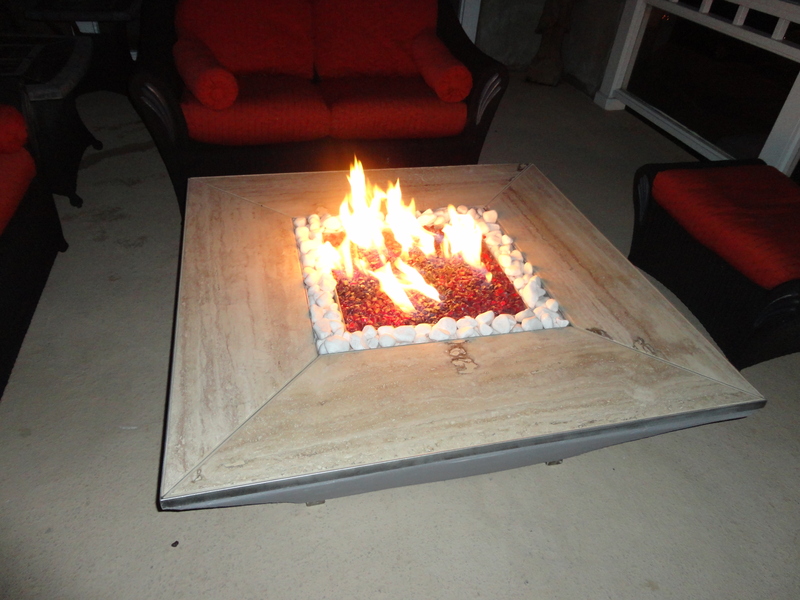 This Contemporary Fire Pit design was designed and built by Leasure Concepts. This Fire Pit is very unique and is a great addition to any outdoor setting! This entry was posted on Saturday, October 11th, 2014 at 2:53 pm. It is filed under . You can follow any responses to this entry through the RSS 2.0 feed. You can leave a response or trackback from your own site.